First off, this was DavidsTea’s December Tea of the Month. Since I’ve started on my tea adventure (addiction? obsession? hobby?) they had not had a straight tea be their tea of the month, so I was quite excited. 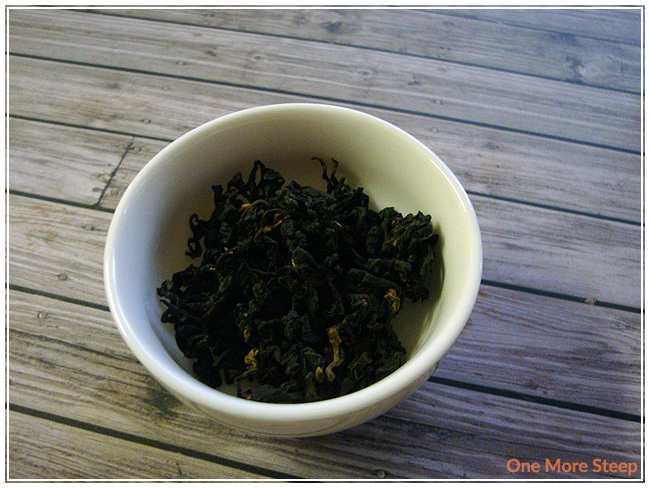 I find that straight teas resteep much better than flavoured teas, and the overall quality is generally higher. This may also be reflected by the higher price tag. If you’re interested in trying Honey Black, DavidsTea recently announced via Facebook that they were discontinuing this tea due to issues with the supply. Honey Black is described as being “from a small garden on the east coast of Taiwan” and that the leaves are hand-plucked. The tea leaves are definitely lovely, there’s so much detail to be seen in the twisted tea leaves. 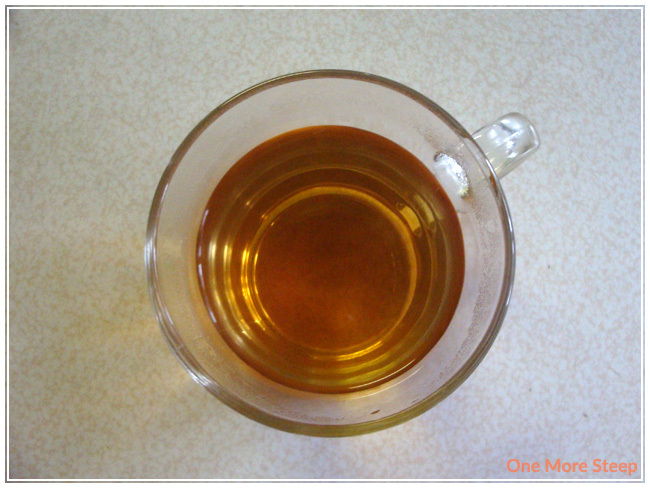 The smell of the dry tea is a very mild sweet aroma that mingles with the natural tea fragrance itself. The ingredient listed is simply “Black tea from the east coast of Taiwan”. DavidsTea recommends steeping in 96°C (204°F) water for 4-7 minutes. I steeped mine for about 4 minutes. The tea itself smells great once steeped. There’s an aroma that is a bit malty, like an Assam tea, with very slight smell of sweetness. The tea is a lovely golden brown colour that is quite welcoming. It does taste a bit malty but not as strong as Assam teas generally are, but it’s also a bit bitter and astringent. True to its name, there is a bit of honey taste to it, but it’s not overwhelming or overly sweet. The sweetness is just enough that I don’t think additional sweetener is necessary. The astringency and bitterness isn’t completely unpleasant, but I do think it would be if I had steeped for the full 7 minutes. I would definitely recommend steeping for a lower amount of time. Because Honey Black is a straight tea, I really wanted to see how it would do with being resteeped. It does well for the second resteep. I steeped it for about 4 minutes and had less of the bitterness that the first cup had, but the bitterness and astringency was still there. 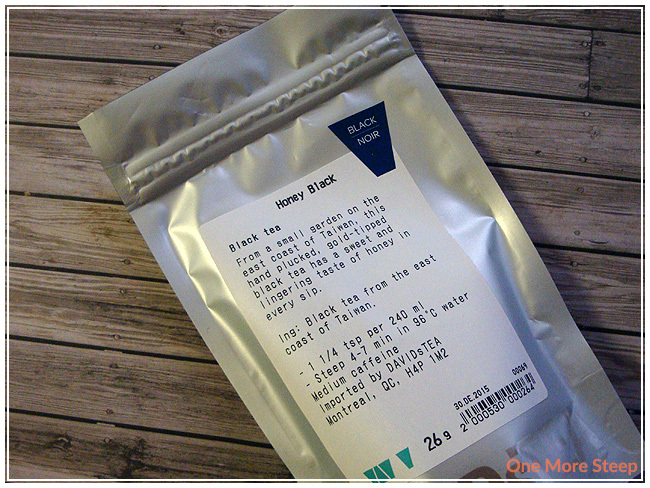 I thought that DavidsTea’s Honey Black was just okay. While the tea itself is nice and enjoyable (especially if steeped for less than 4 minutes at the recommended water temperature), I think that it’s expensive for what it is – which is a solid black tea. Honey Black makes for a good cup of tea, but there are better options out there for black teas that aren’t as expensive. If you are interested in trying it before it leaves DavidsTea forever, I’d recommend heading to a store to get a small sample bag (I’ve gotten 10g bags before in store!) before committing to a larger purchase, if you have a local store nearby. I tried a sample of this in a store and then bought a whole tin of it! I didn’t realize that DT was discontinuing this one though, I’ll have to stock up while I still can! Glad to hear you like it! We were lucky to have this tea, even if the supply chain isn’t ideal – that’s agriculture for you! It is from the Lu Ye garden, overlooking the Pacific Ocean – beautiful place. Made from a traditional oolong cultivar, and bug bitten, which is where the sweetness comes from!